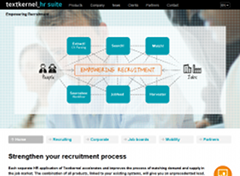 Textkernel is an innovative, fast-growing software company that specialises in information extraction, document understanding, web mining and semantic searching & matching in the Human Resources sector. For this industry Textkernel offers not only Jobfeed, but also CV parsing and Search & Match solutions. We are happy to provide Jobfeed data for (national) news articles. For inquiries, please contact press@jobfeed.com or call +31 20 494 2498. Would you like to see how Jobfeed works for yourself? Request a trial account or web demo and find out. Fill in the form below and the Jobfeed team will contact you as soon as possible.